Arnold Berdon, the husband of UFC fighter Rachael Ostovich, has been arrested on an attempted murder charge, according to reports from TMZ and MMA Fighting. Berdon, who is also an MMA fighter, is currently in custody. Speaking to MMA Fighting, a spokesperson from the Honolulu Police Department confirmed that the charge against Berdon could still change as the investigation is ongoing. Arnold Berdon is alleged to have attacked Rachael Ostovich around 2:00am Sunday morning in their home in the Waianae area of Honolulu County. This attack sent Ostovich to the hospital with a broken orbital bone. Though she has since been released from the hospital, she has been forced her out of her planned January contest with Paige VanZant. Arnold Berdon and Rachael Ostovich have a daughter together. 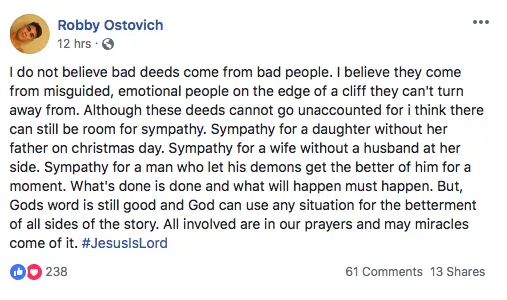 Ostovich’s management, Sucker Punch Entertainment, has already released a statement on this terrible turn of events. Rachael Ostovich shared a statement from her brother Robby in her Instagram story. “Spend time praying for people instead of talking about them,” it read. 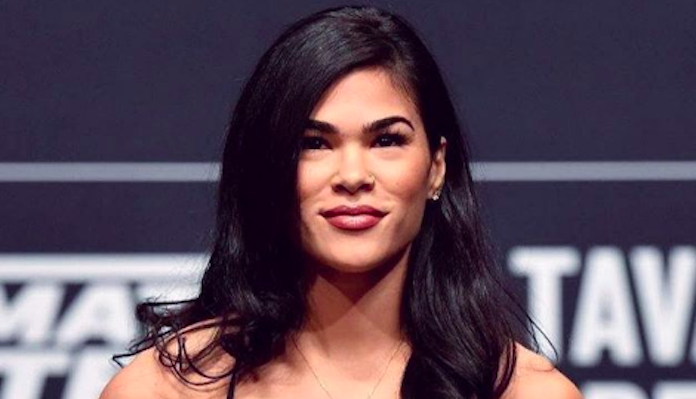 Stay tuned for further updates on this unfortunate Rachael Ostovich situation as they emerge.